Be Happy, Ski More – Make the Most of This Year’s Ski Holiday! Like India or China, your first thought of Pakistan might well be of a hot country, with a dry season and a rainy season, and you wouldn’t be far wrong. But flat it isn’t, and the country’s Northern Highlands are home to five of the fourteen “eight-thousanders” (mountain peaks over 8,000m), which attract adventurers and mountaineers from all over the world, notably the world’s second-highest peak, K2 (8,611m). Organised ski areas with lifts are, it’s true, few and far between, and the country’s most illustrious resort, Malam Jabba, has a very checkered history, but it is now back in business. 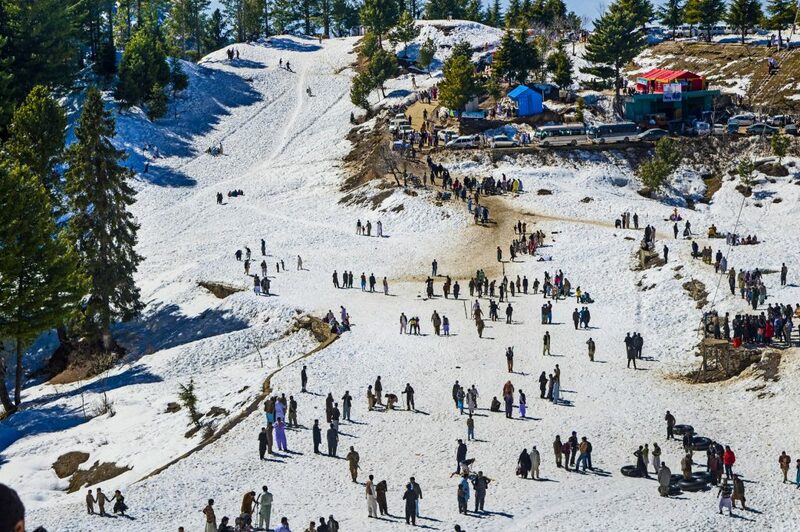 Malam Jabba, Pakistan’s only international-standard resort, is located more than 2,600m up in the country’s picturesque Swat Valley. Originally built three decades ago in 1988 it has been able to operate in total only 10 years out of the past 30. The resort was created in cooperation with Austrian specialists but remained “mothballed” for a decade before finally being opened by Pakistan’s then president in the late 1990s. It was originally equipped with two chairlifts, a hotel, restaurants and a coffee shop. In 2007 it was taken over by the Taliban who destroyed most of the facilities, setting fire to the hotel and destroying the lift. The Taliban were driven out two years later in 2009. In 2014/15 a rudimentary cable lift was installed followed by a Chinese-made chairlift, and the hotel is being rebuilt. The resort gets 1–3m of snowfall on average annually and is very popular with thousands of people clogging the roads up to it just to enjoy the snow. The other side of Pakistan’s ski business is linked to its military with the country’s army and particularly the military, running half-a-dozen small ski fields themselves. But in recent years the country has been trying to open these up to a wider skiing audience. 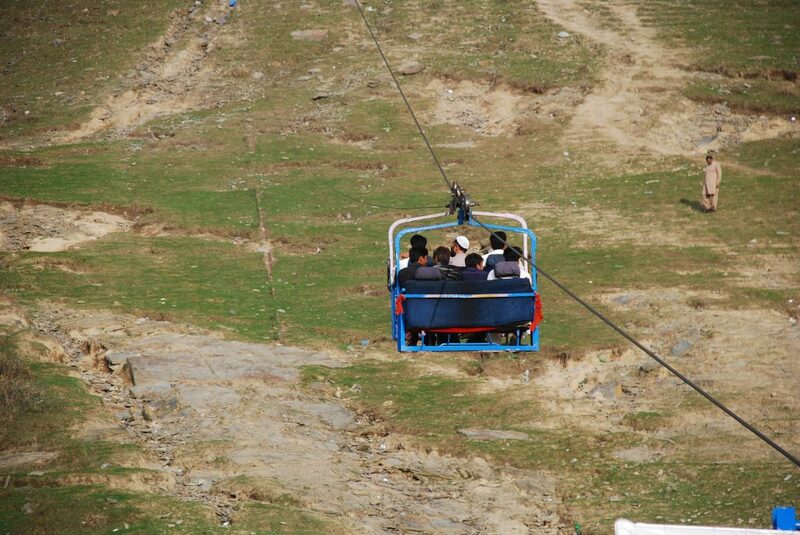 There has, for example, been a small ski area at Naltar, formerly a preserve of the Pakistan Air Force, for many years with a primitive drag lift, but a new chairlift donated by the Swiss ski resort of Villars, allowed for the main ski run to be extended to a mile long and uplift capacity multiplied tenfold from 50 to 500 skiers per hour. 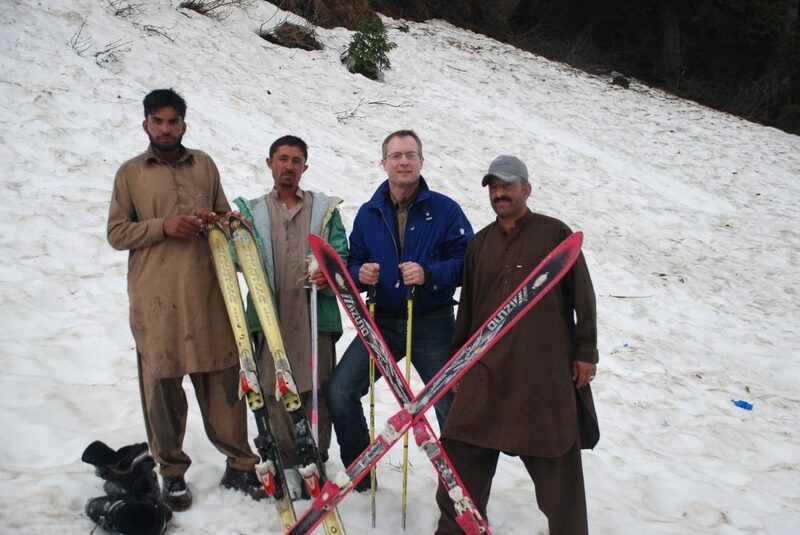 The President of the Ski Federation of Pakistan, Air Marshal Khan, declared the project as being “… of strategic importance for development and promotion of skiing in the country,” at the time and predicted Naltar would become an international-standard ski facility and help attract national and international tourism, helping the area’s economy. He said that Pakistan Air Force would continue to support the Federation to promote ski sport in Pakistan.